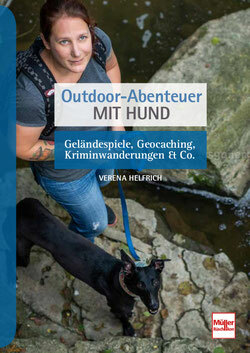 Petphotographer Lisbeth Ganer will join us for 2 to 3 hours. She will be photographing our dogs, and it will also be possible to have some individual shots of the dog/owner. By the way, the shoot also offers a good training for every dog, because among other things patience, impulse control and a certain frustration tolerance are trained. 1-2 weeks after the event , you´ll get a link to a private photo gallery with 10-15 pics of your dog. All photos in the gallery will be in a web friendly resolution and watermarked. They can be downloaded and also be purchased in a high resolution, ready to print. For additional high resolution the price is 25,00 euros/ photo or 100,00 euros / 5 photos. It’s also possible to order prints on different qualities. Please check out here website lisbethganerphotography.com for further information. For more informations please contact us by e-mail. Dogs from the age of about 6 months to the senior can participate. The dogs should already have good leash skills and a good social behaviour with other dogs/humans. The event "Train & Shoot" is limited, only 4 dogs can participate. Please note: Due to the light / weather conditions, it may happen that the shooting starts a little earlier / later than planned. The times are therefore indicated at some events a bit more generous. You will receive an info at short notice. Each event lasts about 2-3 hours.